Jolene, great to see this going online. So glad to see you have this great website! 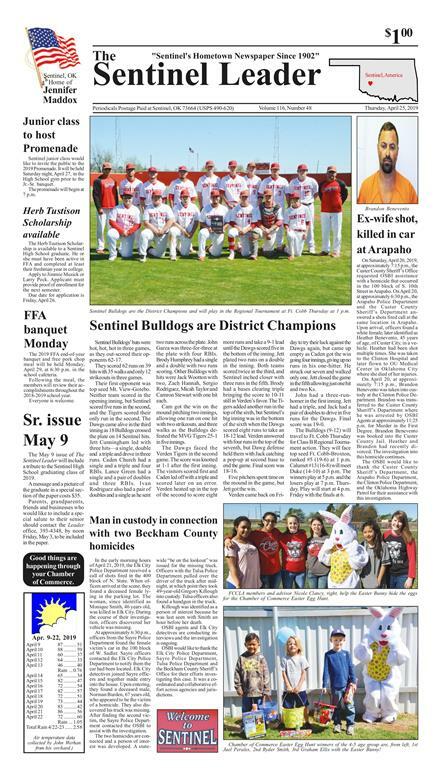 Enjoyed my first issue Friday here in Washington, OK after writeing my check at the Sentinel Office Tuesday May 24th 2016. Very professionaly laid out.